Remember grade school, when you got behind the line leader and stayed there? Well, a late caution in NASCAR’s Martinsville race was like picture day in grade school, when you had to confusingly line up by height. Not even officials knew where drivers were supposed to be, and they ran 30 laps trying to figure it out. 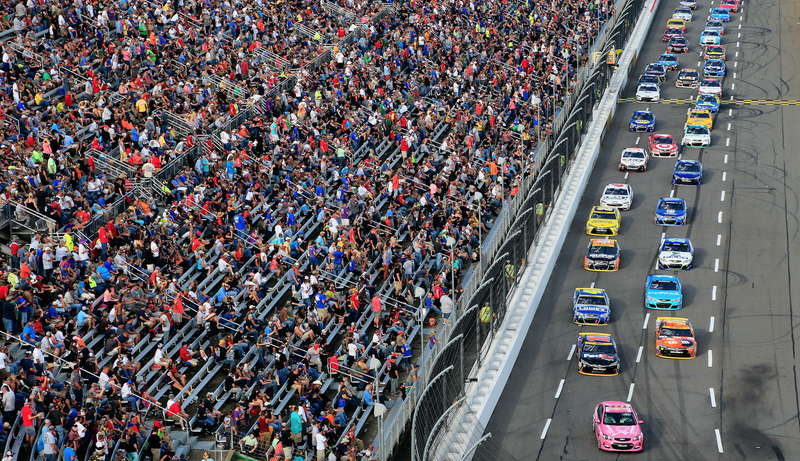 The caution came in the NASCAR Sprint Cup Series’ Goody’s 500 at Martinsville Speedway during green-flag pit stops, which is, admittedly, a confusing time at any track since the running order constantly shuffles. And at a short track like Martinsville, drivers can go multiple laps down by stopping to pit. But things aren’t usually so... strangely officiated. Or prolonged. When Carl Edwards brought the caution flag out on lap 357, there were only a handful cars on the lead lap. According to ESPN’s Bob Pockrass, those drivers were A.J. Allmendinger, Jimmie Johnson, Jamie McMurray, Matt Kenseth and Kyle Busch. But there was confusion on the opening of pit road, and everyone ultimately got out of order and really confused. Ha. Oh, the All-Star Race. It was a mess. Never change, NASCAR. We all need to have a picture-day moment every once in a while.